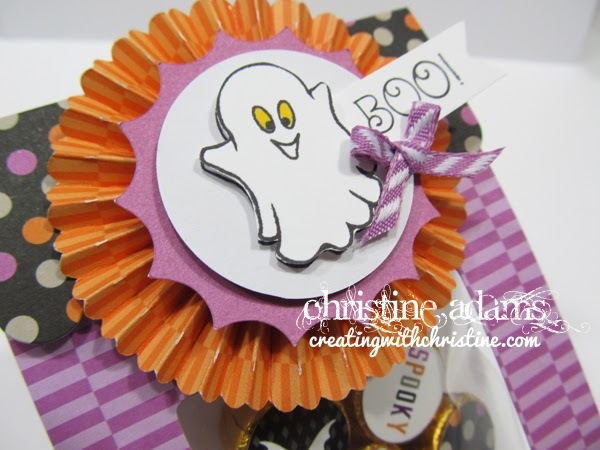 Creating with Christine: Cut Above Halloween Treat Bags! 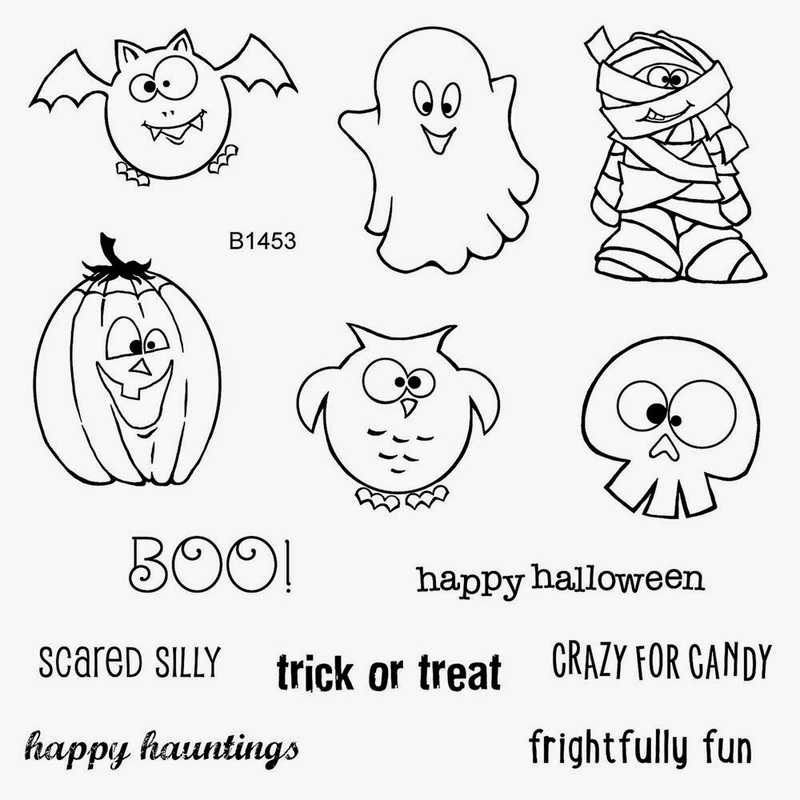 Cut Above Halloween Treat Bags! Here is another project I am offering my club members this month! This idea came directly from my dear friend and fellow consultant Brenda Rose! Check out her blog - you will be AMAZED! I really TRIED to make mine different from Brenda's, but I just loved everything about hers that I couldn't!! They are so bright, and cute, and FUN! You start out with our Cut Above Treat Bag kit and simply add a Cricut pinwheel/yo-yo and a Thistle cricut shape (both from the Artiste Cartridge) and pop-up your image and tuck in a sentiment! Voila! I added a small bow from our new Thistle Diagonal Striped Ribbon and 2 black stars from the Scaredy Cat Assortment to each bag and colored the eyes with our new Golden Yellow marker. The stamp set is adorable! It's called Frightfully Fun and is only $9.95! There are several images and sentiments to choose from! You will have everything you need to assemble the project EXCEPT the candy. The bags hold 6-12 pieces of candy each. I used Rolo's since they have a flat bottom for the sticker to adhere to. I only used 6 but you can definitely add more! These would make great gifts for friends in the office or book club or kid's club! Or make a few to hand out to special neighbor kids or elderly couples that could use a cute little pick-me-up! Or you could be that one person in the neighborhood who goes all out and makes these to hand out to ALL of the neighbor kids! But really, this is an inexpensive project that is guaranteed to brighten someone's day! How many sets would YOU like to do? Yep, these are better than the originals too! Popcorn and Movie Nights at the Crop! 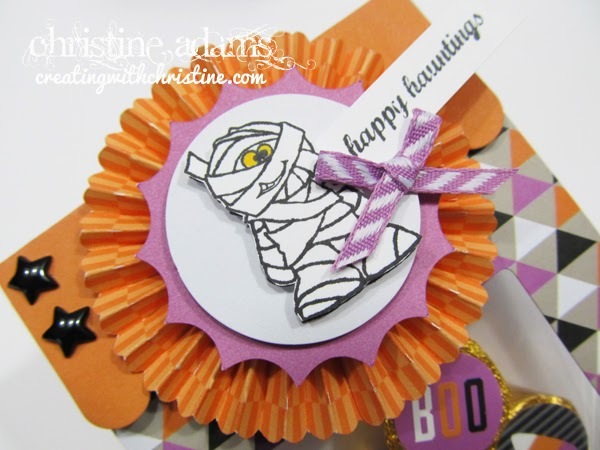 Cut Above Cards with Hostess Stamps! Artfully Sent Cricut Collection is HERE!